These days, when we hear the term the 3Rs, it is referring to waste reduction and management: Reduce, Reuse, Recycle. Indeed, in some instances the three have become five: Refuse, Reduce, Reuse, Repurpose, Recycle. Whatever number of Rs there are, recycling comes last – one step ahead of landfill and incineration. Wherever possible, we should be addressing our own consumption and waste generation through applying the other Rs before resorting to recycling. However, this is not always possible in the case of essentials such as toothpaste and contact lenses and beauty products, make-up, spent batteries and obsolete or broken technology all contribute to the average family’s waste. However, all these items that typically enter landfill can be recycled through a range of sponsored schemes – meaning they are FREE for you and me! The Australian Government’s National Television and Computer Recycling Scheme allows you to drop-off certain e-waste items for recycling. 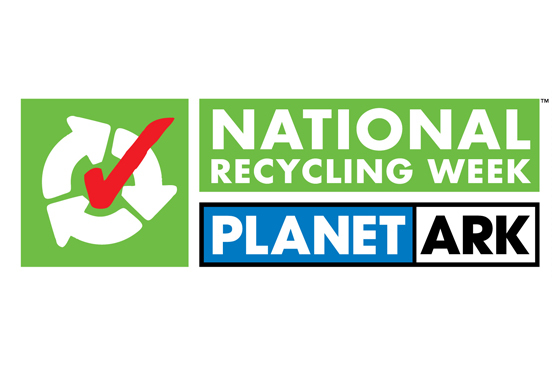 To find a location near you and find out what waste is accepted through this scheme, check this website. You may be unaware that aerosol cans and aluminium foil are readily recycled through your council collection, provided you follow these simple instructions. Aerosol cans must be empty. 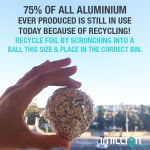 Aluminium foil, the most valuable item in your yellow bin, needs to be balled up to the size of a tennis ball as seen in the image below so it can be separated from the rest of the materials. 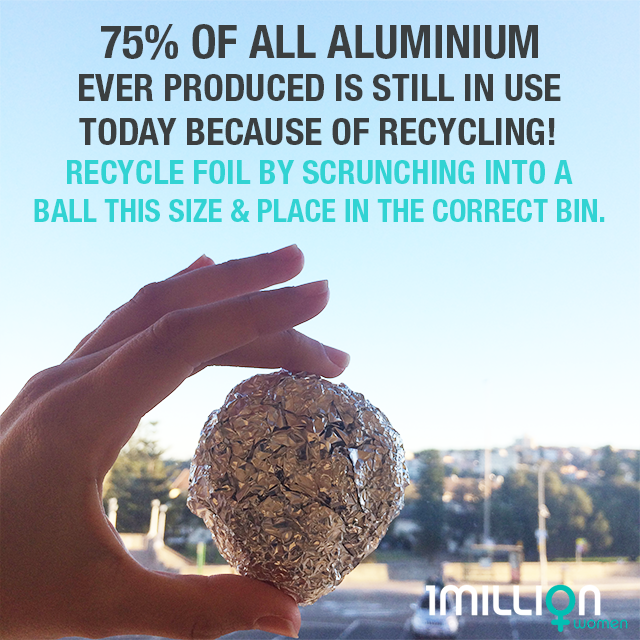 So, collect smaller, clean pieces of foil, like the lids from yogurts, butter, Easter eggs, sandwich wraps etc. until you have enough to roll into the size of a tennis ball!